Colored lenses and tinted screen savers do not need to break your wallet. Until I am sure I want to invest in quality lenses for the sports I in which I participate or the before bed television I watch, I am busy testing clearance sunglasses from Foster Grant. Thankfully, in Minnesota January they were being cleared out of Walmart at $2.00 a pair, so picking up a few different hues and colors was not a huge investment. Did I change my life with colored lenses? For my television night viewing, I have been testing the colored lenses in these $2 a pair sunglasses and the yellow gradients into pink lenses I would not wear in public surprisingly soothed my eyes when viewing TV later in the evening. For my computer screen, I downloaded and have been testing software from Iris Tech a Bulgarian company. I really like the product and as a graphic designer, I have been pleased with the results because when I am working with photos it is easy to turn the Iris software on and off. For my android smartphone, and I will admit I may be one of those people who checks the phone 150 times a day, so I downloaded the Twilight app and have set it to follow the sun for the area I live in. My phone is bright and blue in the morning and moves to a pink and finally much darker pink later in the night. Transition and change in the lives of the adults I love dearly comes slowly and at a price. My strategy has always been to test the water until I understand and find comfort in it and then slowly introduce the new concepts or procedures. Helen L. Irlen is an internationally recognized educator, researcher, therapist, scholar, and expert in the area of visual-perceptual problems. Over 20 years ago, research directed her to a federal research grant to study methods to help children and adults with reading and learning difficulties. One important discovery was that a subgroup of individuals benefited from color acetate overlays. There is also an Irlen® colored overlays app for electronic devices. Irlen believes that about 33% of those individuals with problems of attention, concentration, starting tasks, completing tasks, sitting still, and working under fluorescent lights can be helped by the Irlen Method. Irlen® Filters may be a drug-free alternative. 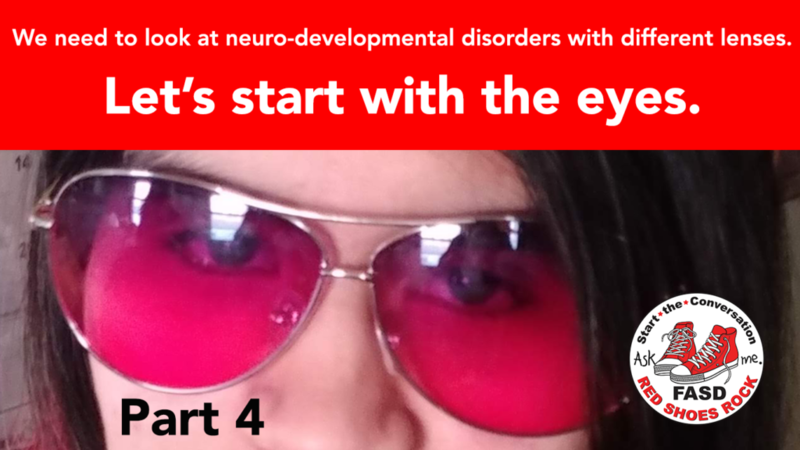 This entry was posted in CLARITY, NEURODEVELOPMENT and tagged colored lenses, sleep, VISION, visual processing.